Last Wednesday, November 9th, we held another discussion night, this time on feminism and abortion. We started the evening with discussing the win of Donald Trump in the USA elections. His win can have devastating results to the abortion-laws in America. Compared to the previous discussion nights, the turnout was quite low, however we had a very interesting and sometimes enervating meeting. We had more time to go in-depth and ponder on the issues at stake, so the quality of a discussion night is not in the amount of people that turn up. At the beginning of the meeting we speculated that this low turnout might have had to do with the fact that maybe many of us feel that this is a resolved issue in the Netherlands. It seems like a given that women have the freedom to choose what’s best for them and their bodies, and thus maybe members wouldn’t bother to come and discuss it. Interestingly enough we ended the meeting realizing that this might actually not be such a given. 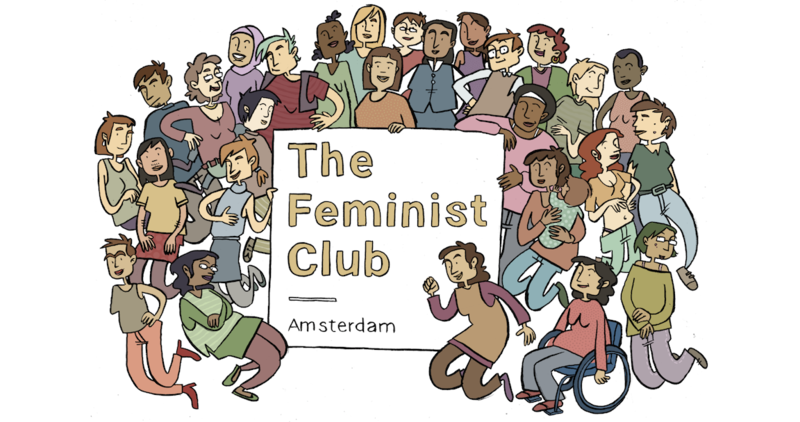 Through the sharing of personal experiences and stories we managed to go beyond common sense truths like “the Netherlands is so progressive in what concerns abortion” and realize that this is actually not truth in some parts of the country, and that social control and “low-scale” morals and shaming might play a very negative role in women’s decisions. After the win of Trump, several Dutch prominent figures stated they were happy with this result, as Trump is considered pro-life (See this newspaper article (dutch)) . We are living in a strange time where apparently all of the progress made towards a more just and free world can be erased from one day to the other. So this realization in yesterday’s meeting feels even more urgent to share, as a call to action against the dangerous apathy that can come from what we consider as a given in our lives. We would like to appeal then to all of you who can and are willing to take the discussion out of Facebook to help us and bring the fight for intersectional justice, equality and freedom to a more outspoken and practical realm. We would very much like to have another benefit for Women on Waves. On Netflix you can see the powerful documentary about Women on Waves called Vessel. (If you don’t have Netflix, you can buy the film here). Check out this map to see what women in other countries are dealing with (link to: ). During this meeting, we were also able to discuss abortion on a more personal level. We watched the powerful poem by Leyla Josephine, in which the poet strongly speaks out against the shame that is so closely associated with abortion. We discussed reasons why abortion is so strongly associated with shame, like the presumed essentialist lifegoal of women to become a mother. Or the thought that women who undergo abortion must be nasty promiscuous women. Or being brought up in a conservative religious culture, where the life of a foetus is deemed more sacred than the life of a pregnant person. Klaudyna, who organised this night, told us about the situation in contemporary Poland. Many of you may remember the marches in October, when 200.000 women went to the streets to protest new laws that would further restrict abortion. Although this further restriction of abortion was prevented, the situation in Poland is not good. So when the time comes, please join your fellow feminists on the streets, when they demand their human rights to be respected.